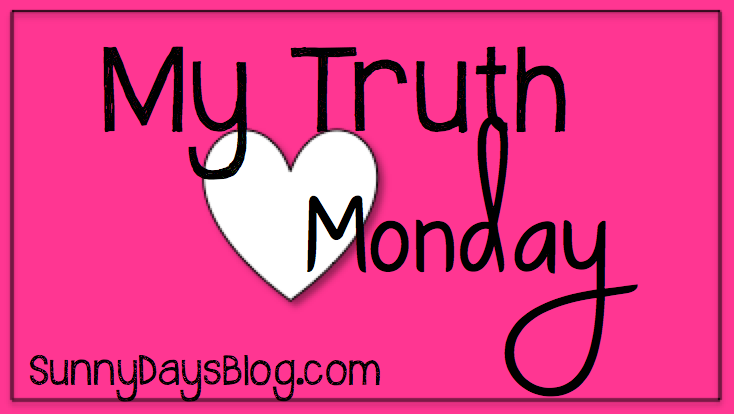 In an effort to make this big blogging community feel a little smaller, I'm starting a 12 part series called My Truth Monday. Believe it or not, that will bring us right up to the New Year! I hope you'll join me so we can all get to know each other a little bit better and have some fun along the way! Ok, so the idea is simple. 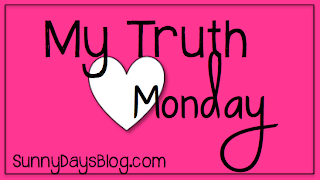 Each Monday I'll start by sharing my truth about a particular topic. All you have to do is copy the template to your desktop, fill it in, post and link up! Sound good? So, how about you? Tell us your truth about fitness by snagging the image below and linking up! Be sure to include the badge below and link back to this post. I have topics in mind for the rest of the series, but if you have some feel free to share. 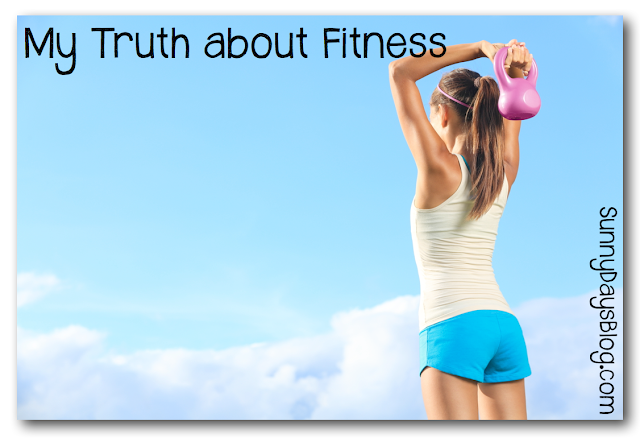 If you don't have a blog of your own, share your truth about fitness in the comments! This is a topic that is near and dear to my heart as I will be 65 next year. Just keep taking one step at a time. Don't give up! Love this linky idea. 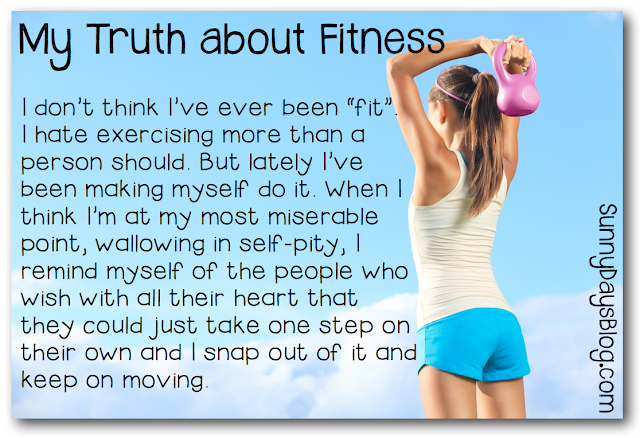 Also, what a great way to keep perspective about exercising. It is good to remember to be thankful that we are healthy and able to move when so many people are not. Thanks for this great series! Looking forward to all of the topics you choose! I'm skinny, size 3, but I do not like exercising. I know I need to exercise, but I just cannot seem to bring myself to do it. The one exercise program I liked, but cannot afford now that it's not available free, is zumba. I was able to go every Monday night when I was student teaching at college & I felt better. I wish I could find something to stick with or some way to motivate me to do the thing I know will make me healthier and not get a stomach pooch. Lol. I found your blog through others I followed who joined your linky. So excited to be following and to have linked up myself. I love being able to learn more about those teachers out there who have inspired me. Thanks for a great linky! Looking forward to next week!